The Europe Commercial Cooking Equipment Market would grow at a CAGR of 3.8% during 2017 -2023. Commercial cooking equipment is a pivotal concept within the food service & processing industry. Ovens fryers and other cook equipment are widely used to prepare various kinds of raw & cooked food items. Restaurants, hotels, and other commercial kitchens are some the major sectors that use the kitchen equipment widely. Chaining lifestyle and need for outdoor food has had a major influence on the consumers; therefore, restaurants have gained popularity over the years. Based on End-Users, the market is segmented into Quick Service Restaurants, Full-Service Restaurants & Hotels, and Other End User. Based on Types, the market is segmented into Ovens, Broilers/Char Broilers/Grills/Griddles, Braising Pans/Tilting Skillets, Ranges, Cook-chill Systems, Fryers & Steamers, Cookers, Kettles, and Others. Based on country, Europe Commercial Cooking Equipment market is segmented into Germany, UK, France, Russia, Spain, Italy and Rest of Europe. Germany remained the dominant country in the Europe Commercial Cooking Equipment market in 2016. Italy and Spain would witness promising CAGR during the forecast period (2017-2023). 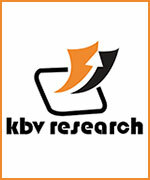 The report covers the analysis of key stake holders of the Commercial Cooking Equipment market. Key companies profiled in the report include ALI S.P.A, Illinois Tool Works (ITW) Inc., Duke Manufacturing Co. Inc., The Middleby Corporation, Alto Shaam, Inc., Edward Don & Company, Fujimak Corporation, Welbilt, Inc., AB Electrolux, and Rational AG.